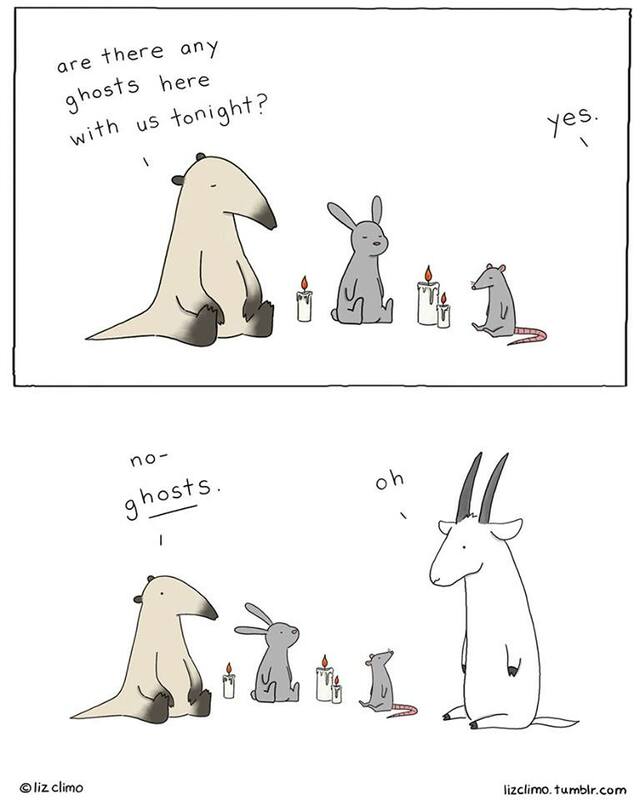 As soon as October starts, the spooky season comes along too. 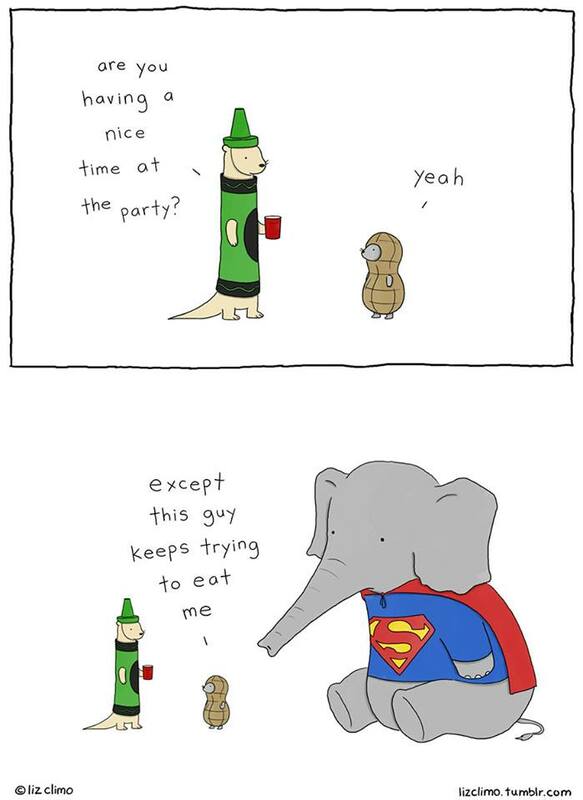 We take out our costumes, we can dress up and it is the only time of the year when it is socially acceptable to dress up as a superhero and walk around in public. 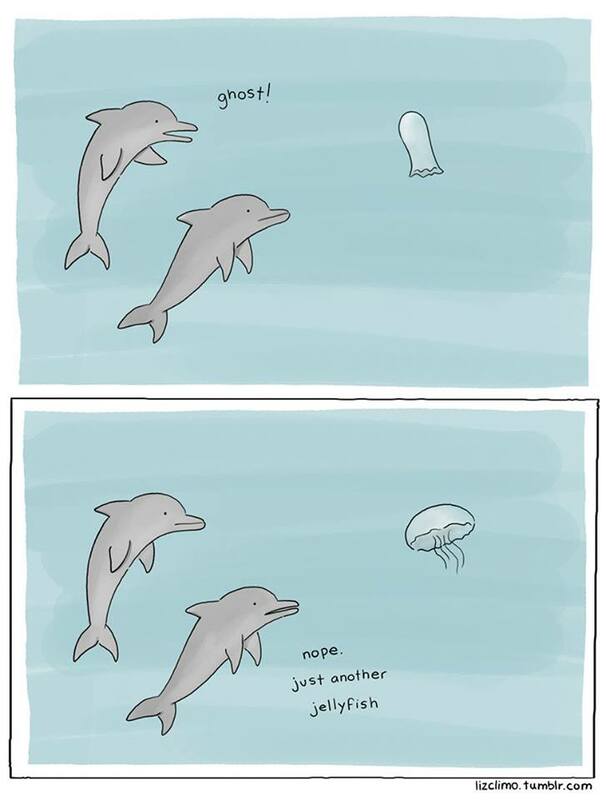 But is the fun only for humans? 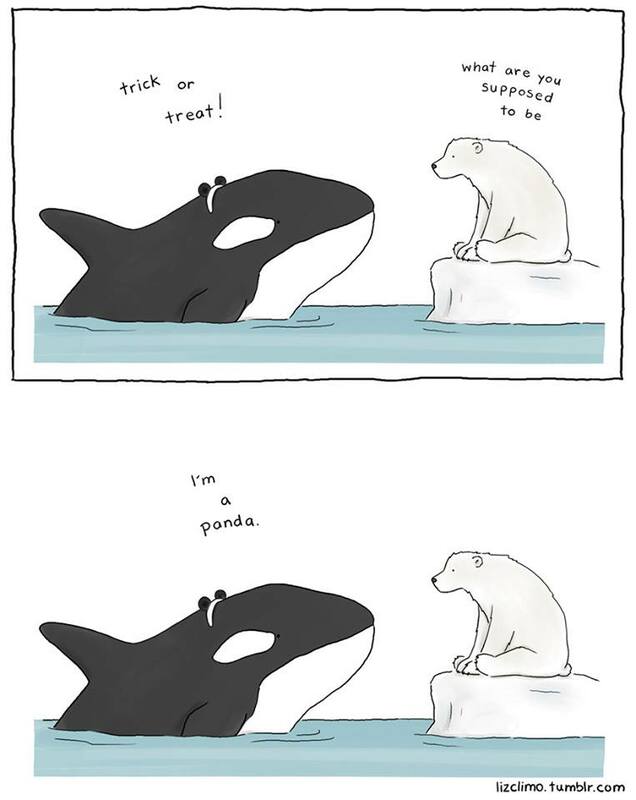 What if animals celebrated Halloween as well? 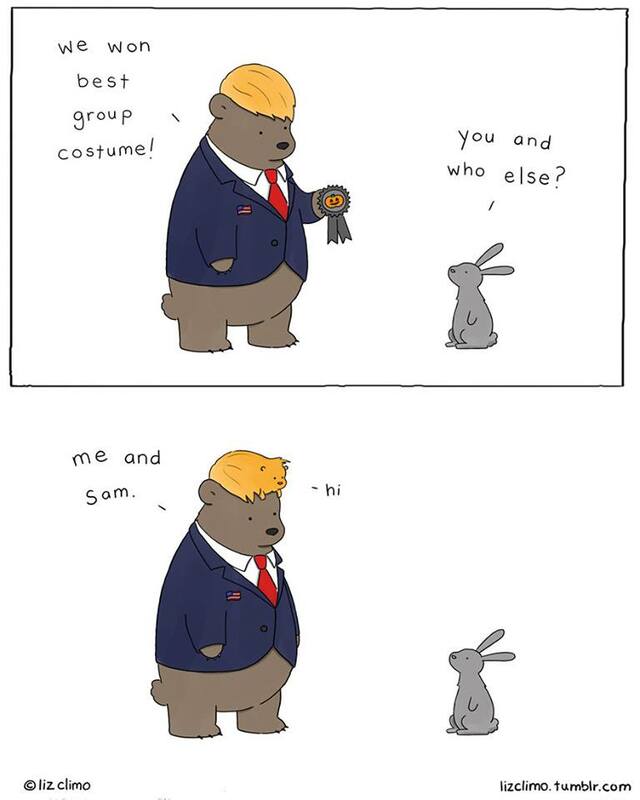 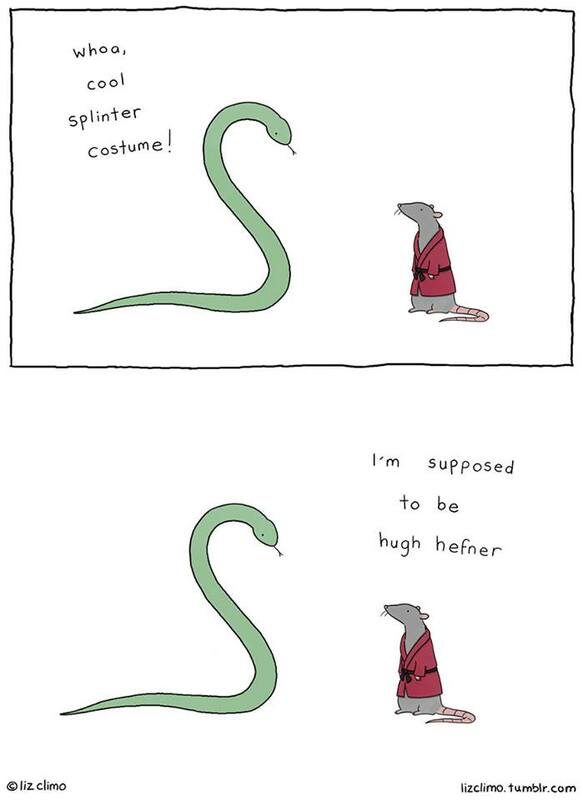 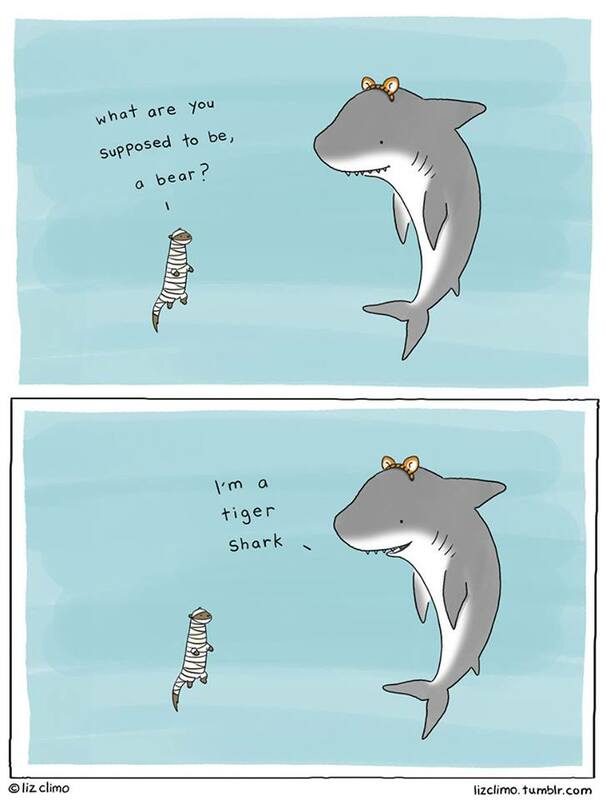 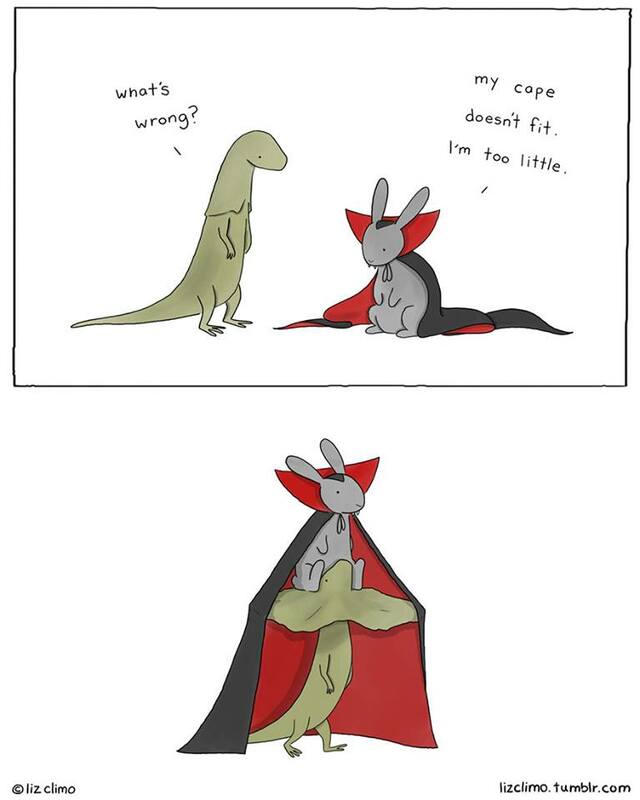 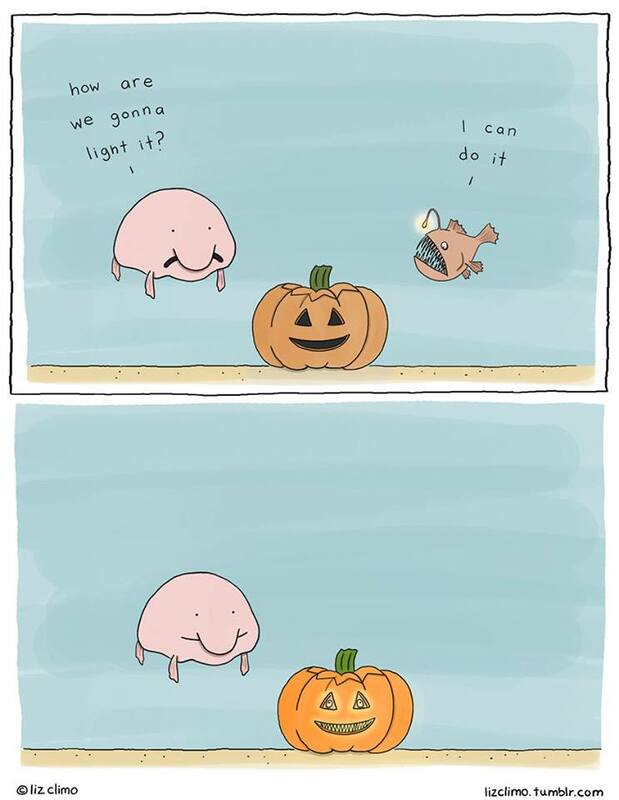 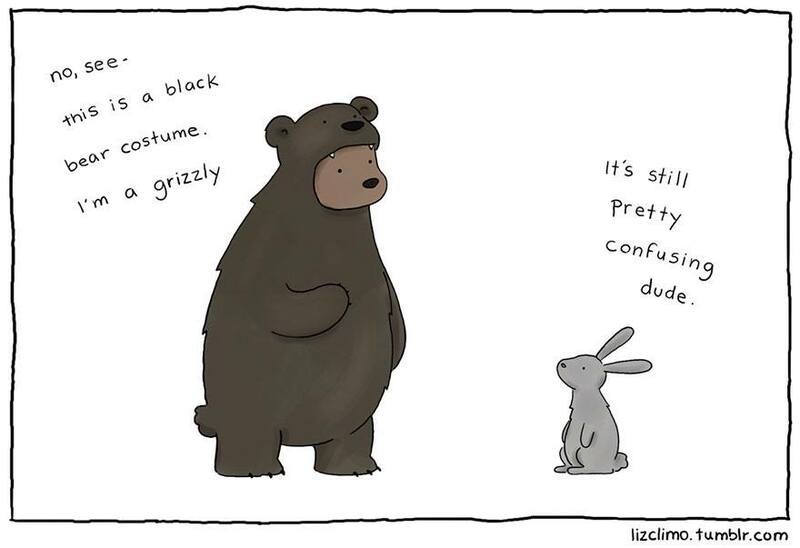 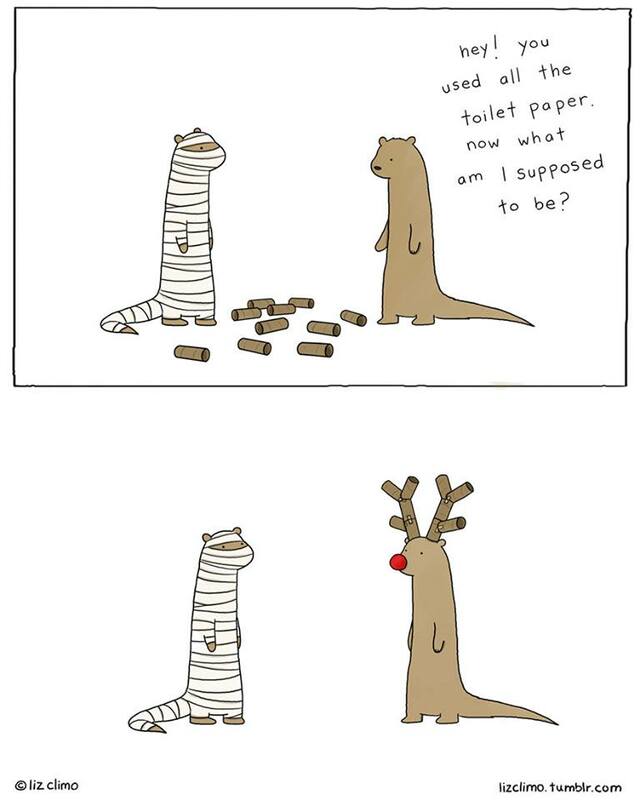 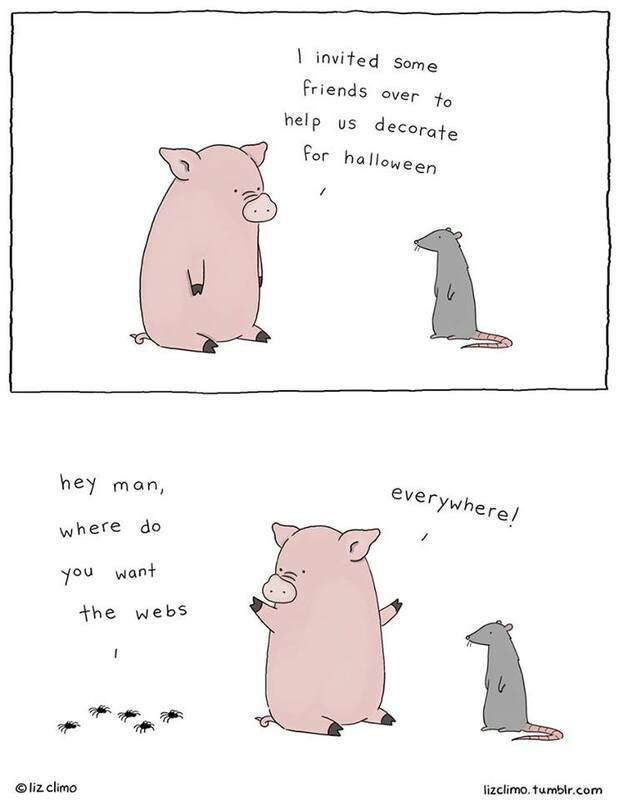 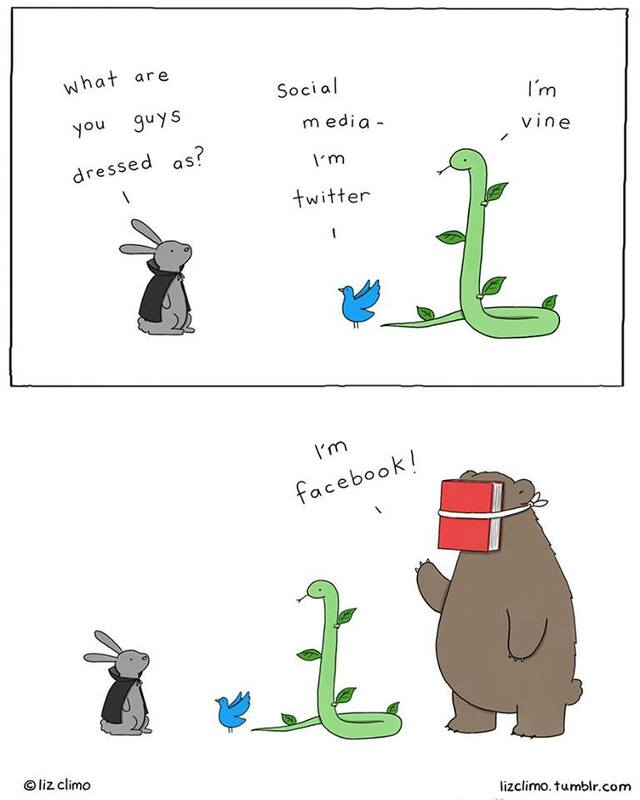 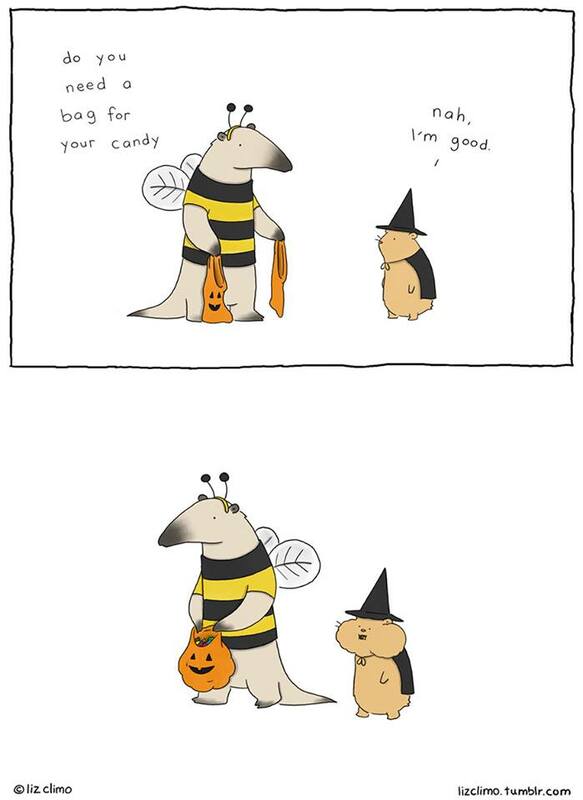 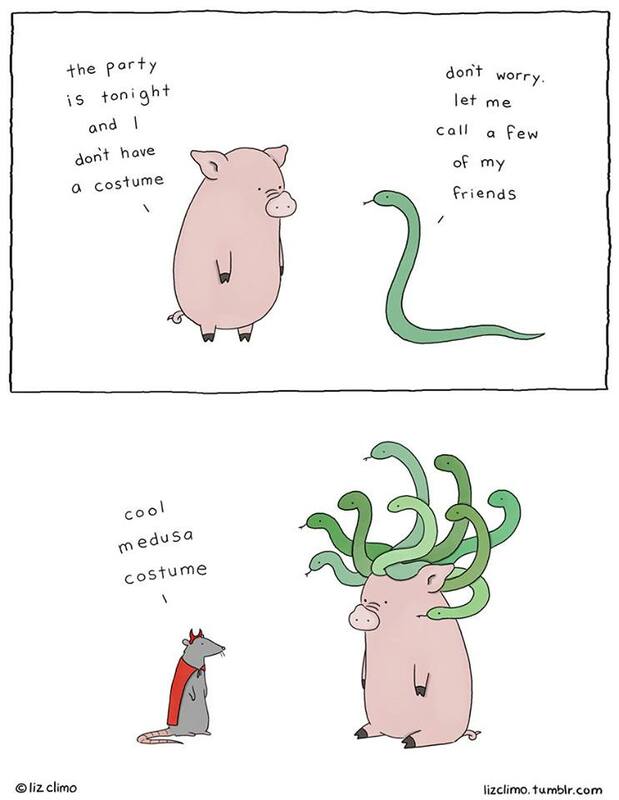 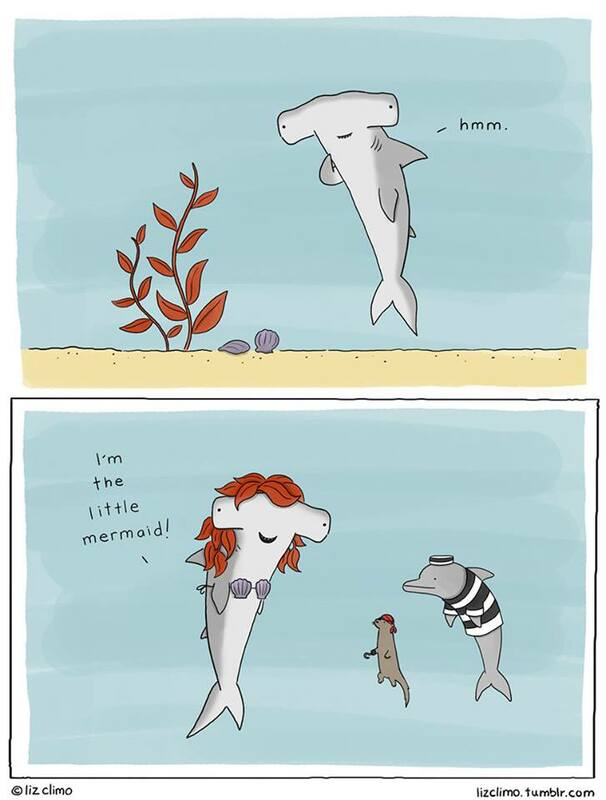 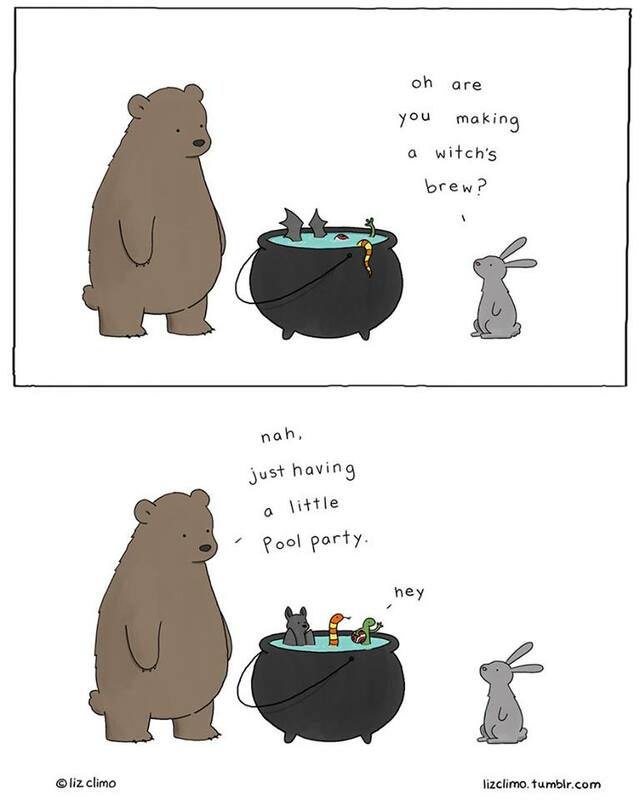 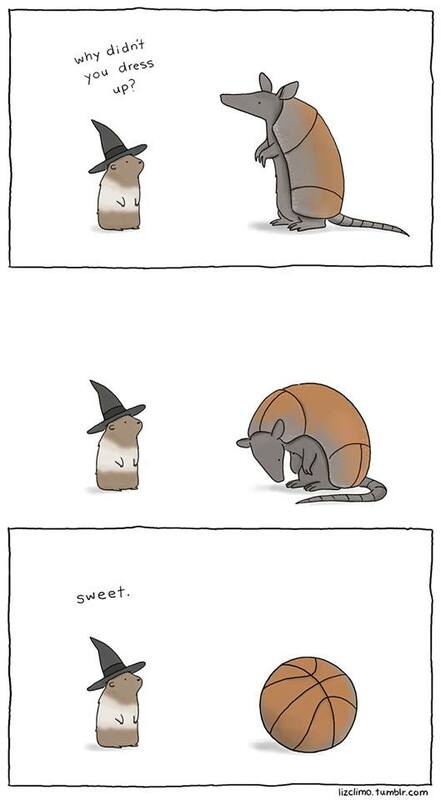 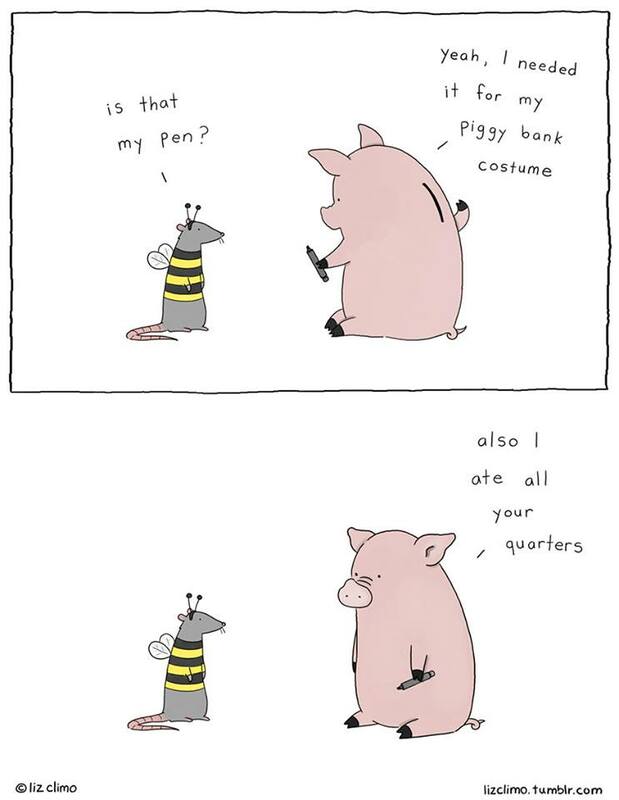 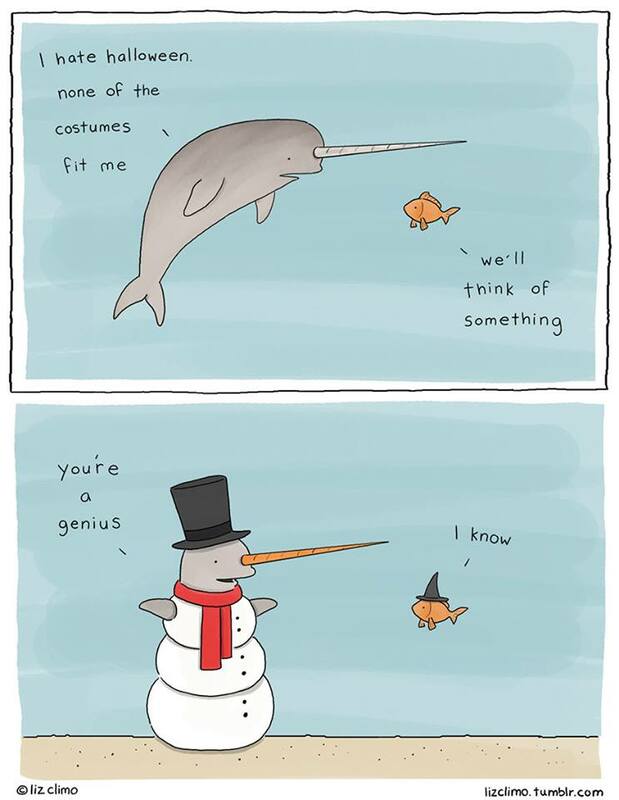 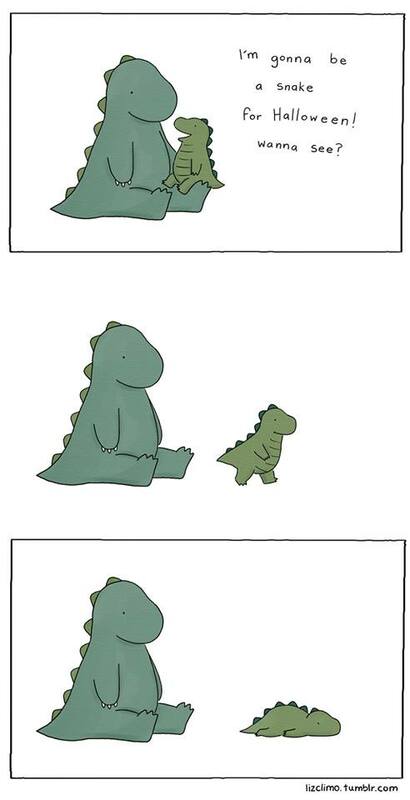 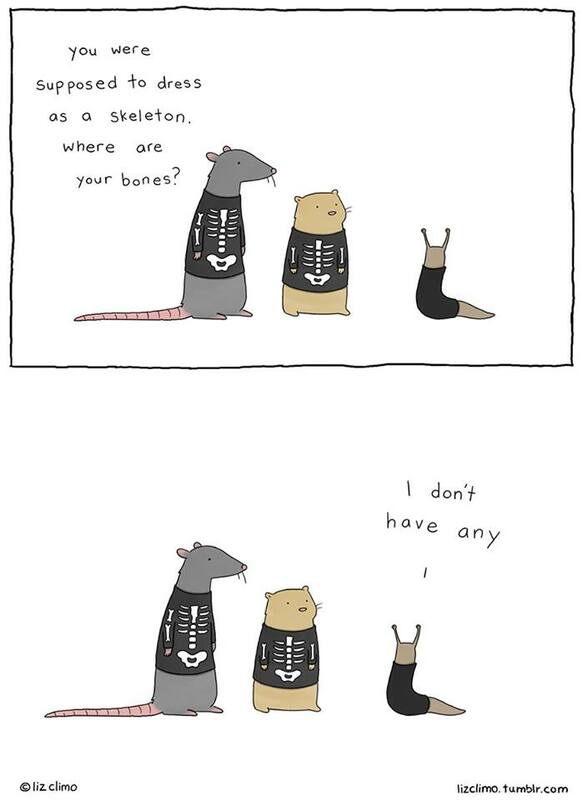 Artist Liz Climo answers all our questions by illustrating what animals would be like if they celebrated Halloween. 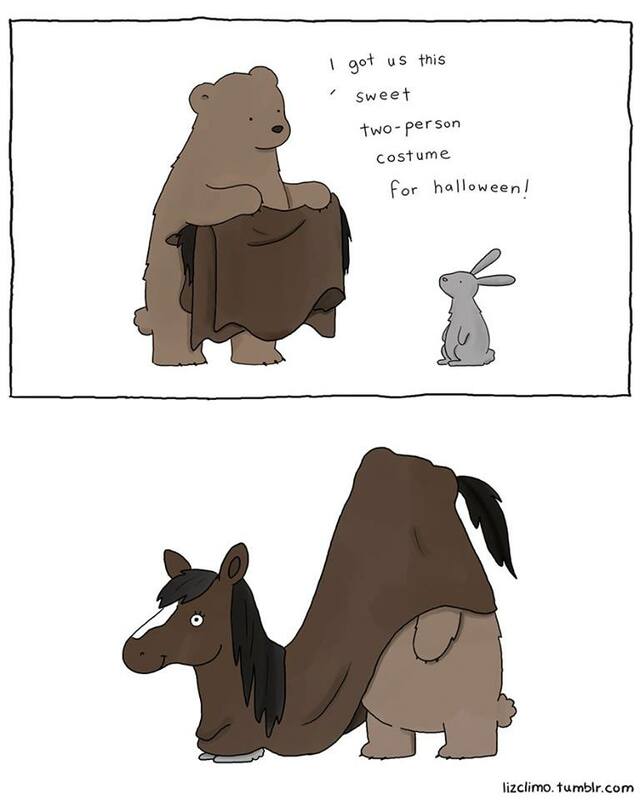 #21 It is that easy.